05 December 2018 (Toronto, ON) – Today, six-time Juno Award winner and Multi-Platinum singer-songwriter Serena Ryder has released the official music video for “Christmas Kisses” via Serenader Source/Universal Music Canada, the country’s leading music company. Watch the official music video HERE. Directed by Lisa Mann, the video celebrates the message of Ryder’s original song: how the most important part of the holidays is spending time with loved ones rather than focusing on material gifts. Guest starring in the video - and perfectly capturing how powerful the gift of love is – are several Canadian dog influencers including @hermaninthehood, @lildogbigcity, @owenthegriff, @remsandfriends, and @fortheloveofsmiley. 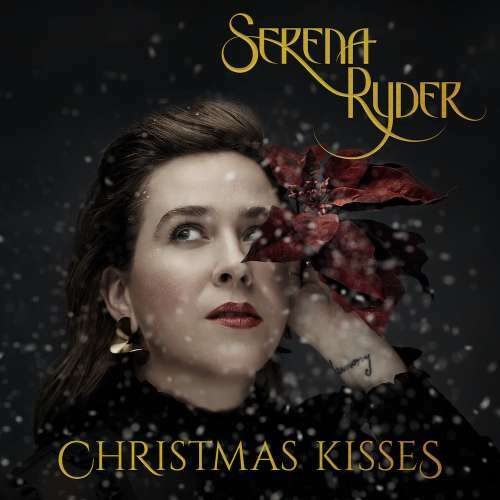 “Christmas Kisses”, co-written by Serena Ryder and fellow multi-platinum songwriter, Simon Wilcox, is the new original song and title track of Ryder’s first ever holiday album. Produced by Canadian Music Hall of Fame Inductee Bob Ezrin (Lou Reed, Andrea Bocelli, Pink Floyd), Christmas Kisses is currently climbing the Holiday Radio Chart with four of Ryder’s classic covers within the Top 50 and the lead single, “Christmas Kisses”, sitting at #3!